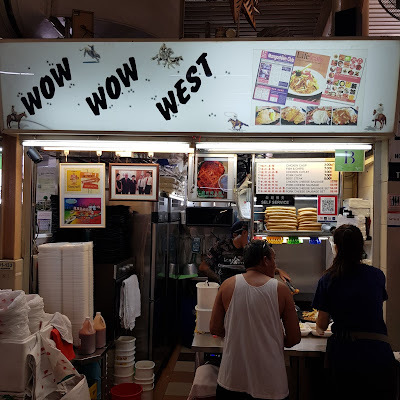 I have always wanted to try out this western stall called Wow Wow West for the longest time ever. I still remember that I read about this stall in 2011 from Daniel Food Dairy blog and made a mental note to visit the stall when I was in the area. It was notable for its generous portion and delicious food then. Fast forward to 2018, I am glad that I have the opportunity to visit the stall at last! A brief background about the stall. It started with Mr Eric Ng who started a western stall in the canteen of Raffles Institution. He moved out of the school environment to the hawker centre as the earnings were low during school holidays. Today, his son-in-law, Mr Jayden Cheong, helps to run the stall. In fact, he is the main chef at the stall and it is essentially a family business as Mr Eric Ng and his wife are also at the stall. 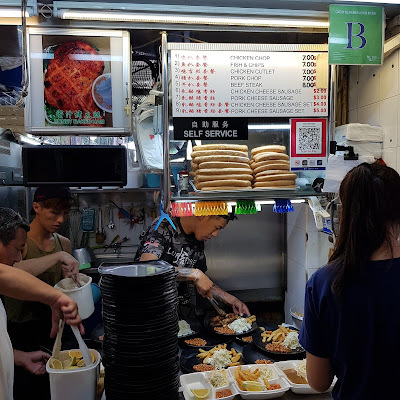 I visited the stall on several occasions and each time I am there, there is a perpetual crowd of people in front of the stall, either queuing up to order the food or waiting to collect their orders. I must say that I am most impressed with their system and processes, from ordering to collection of food. Despite the crowd, I have always waited for less than 20 minutes for my food. This is not an easy feat considering the crowd and number of orders. 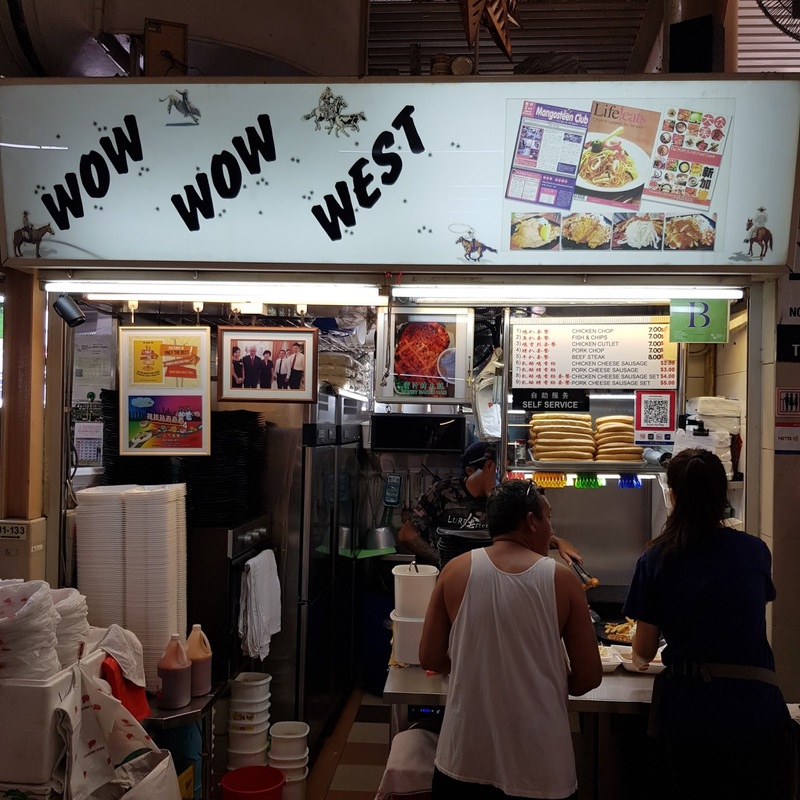 Unlike most western stalls, Wow Wow West does not churn out dishes one at a time. Instead, they churn out nearly 5 dishes at a time and different type of dishes too! 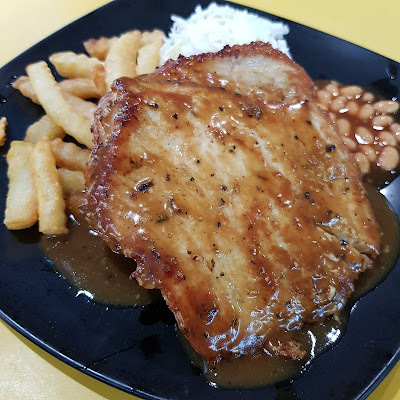 At any one time, they are frying chicken chop and fish and chips, and cooking beef steak, pork chop and chicken chop, all at the same time! In addition, sometimes, they are frying fries too! I have always tried to observe how they do this, but never figured it out. Look at the size of the piece of chicken given for the Chicken Cutlet $7. It was huge, nearly as big as my face. For someone who could eat a lot, I was very full after I finished the whole dish. The chicken cutlet was well-marinated and fried perfectly, which is not easily achieved considering the size. The exterior was so crisp and not over fried while the interior was tender and juicy. 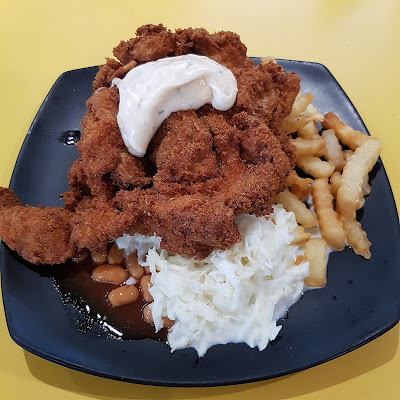 The Chicken Chop $7 was huge too. It was marinated with herbs and pepper and was served with brown sauce. I particularly liked the bits of crisp skin at the sides as they provided a different texture with each mouthful. 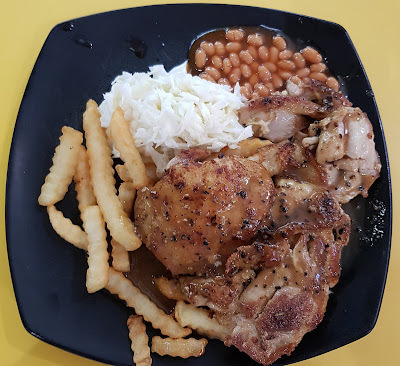 Surprisingly, the chicken chop was not as juicy as the chicken cutlet. The Pork Chop $7 was average. Maybe I had too high an expectation considering the quality of the other 2 dishes. I felt that the pork chop was dry and tough. Although the portion was big, I got too tired of chewing the meat. All their dishes were served with fries, coleslaw and baked beans. Though these lost limelight compared to the mains, I must highlight that the portion of fries and coleslaw given was huge! If you are looking for a big serving of western cuisine, look no further! This is the place to be at. And make sure that you are hungry. Very hungry! 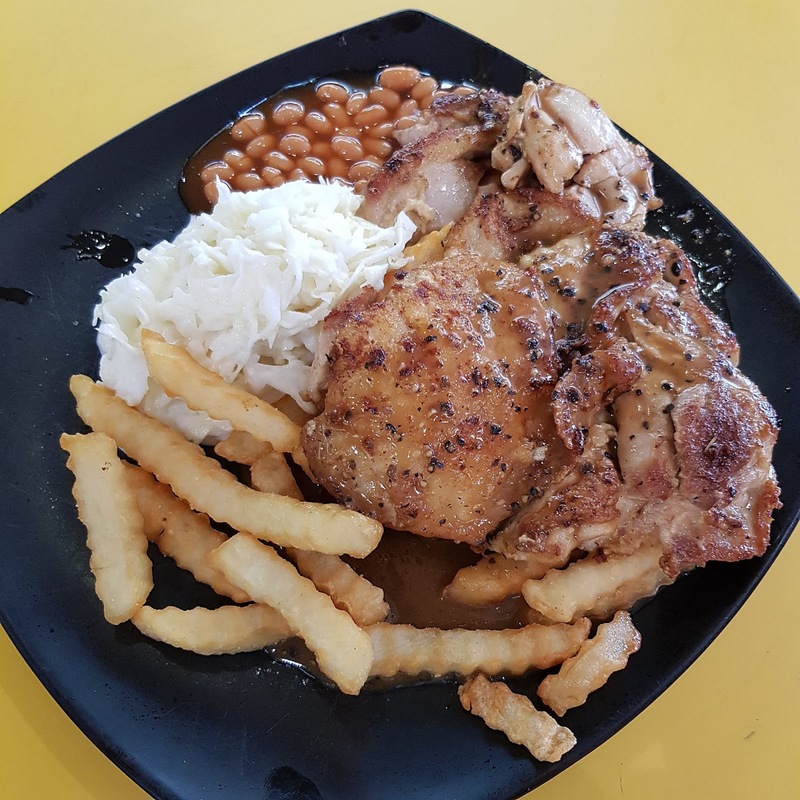 Try their Chicken Cutlet and Chicken Chop! If you are in a rush, you should refrain from eating this western food. Not because of the less than 20 minutes waiting time, but because you will likely need some time to polish off the whole dish considering the portion.